Lot Detail - Give Us Back Little Mac! Give Us Back Little Mac! 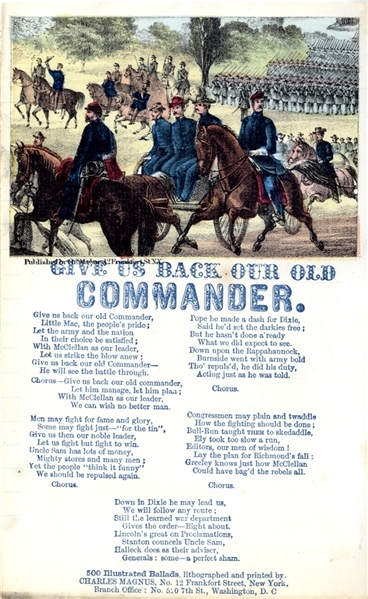 War-date Charles Magnus printed song sheet “Give Us Back Our Old Commander” 1pp. octavo, c. 1862, with nice image marching Union troops. Hand-colored. Fine condition.